If you have struggled with dentures, there is a solution! Tremendous improvements in dentistry now provide a simplified, cost effective long-term solution for denture wearers. Decades of university-based research and recent advances in the field of dental implants now allow for the predictable elimination of most problems associated with dentures and an improved quality of life. Current advances in implant dentistry can now eliminate the chronic looseness and movement of dentures as well as the need for adhesives and denture glues. 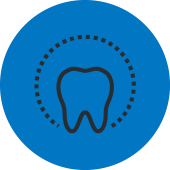 The other most significant advantages of dental implants include: Preservation of the jaw bone once teeth are lost, elimination of soreness by holding dentures securely in place, the ability to eat any foods and chew with great efficiency as well as providing the confidence and security of dentures not slipping or coming loose while speaking, laughing or yawning in public. The increased chewing ability and food selection obtained by dentures supported by dental implants has been proven to provide for better nutrition and digestion with decreased health complications. Some dental implants such as the Nobel Biocare Dental Implant System (http://www.nobelsmile.us/en_us/) have been designed to be placed in the jaw in a simplified manner requiring only one minor surgical procedure. This is most often done in a dental office with local (Novocaine) numbing. This first stage procedure also allows for minimal healing time before attachments are placed with no discomfort to connect the overlying denture. The simplification of this process along with the use of new components designed for denture wearers has also reduced cost of this once lengthy and expensive procedure. In addition, the use of our Sirona 3D cone beam system allows us to capture clear, detailed, three-dimensional images that improve our patient education process and make complex dental procedures, like dental implants, more predictable. With this new technology we are able to achieve ideal outcomes while making procedures easier and safer for our patients. 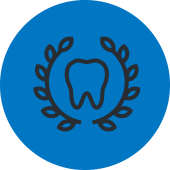 Dental implant companies such as Nobel Biocare have been providing education and support to dental professionals throughout the world to assure that the long term predictability of these procedures can be available to everyone. The magnitude of benefits to comfort, health and self-confidence are so well proven and significant that implant retained dentures are becoming the standard of care for anyone. Lower dentures with dental implant connectors eliminate movement and provide ideal support when eating, speaking, laughing. If you or a family member would benefit from this type of treatment, schedule a free consultation today! 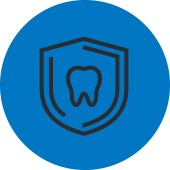 While we can handle complex procedures such as implant overdentures, our Overland Park office can also take care of any general or family dentistry needs you have!